I’m coming back from a week where I lived in two of my worlds: immersed myself in the corporate, tech setting as I attended the SAPPHIRE NOW conference put together by SAP every year, which brings roughly 22,000 people to the Orange County Convention Center in Orlando. And at the end of that three-day conference, I headed to meet my new colleagues at Nytro, who were also gathering in Orlando to discuss strategy and goals for the upcoming months. I’m just here, re-defining two for ones, one week at a time. I know this is extremely specific to Disney, but when you think about it, it can really be applied to anything. Thinking of the Disney enterprise – the characters, the parks, the movies, etc. it’s hard to understand and remember that it all came from an idea in one guy’s head. Walt Disney, like many of us, had an idea, the talent to translate it to paper so that others could visualize it, and the drive to see it through. And that’s the same basic formula for most successful people/companies today: Bill Gates/IBM, Jeff Bezos/Amazon, Steve Jobs/Apple, Elon Musk/Tesla, etc. They had an idea, and they got to work on it. Everything that informs how society works today came from needs that led to thoughts for solutions, that in turn became ideas – which are a reality today. They all faced obstacles and failures along the journey, but they kept going and now they are industry leaders who have shaped our lives and will continue to do so for the future. Check out this profile on Walt Disney – his childhood, how persistence paid off for him and the unusual path that led him to create one of the biggest empires to date. It wasn’t easy and he failed many, many times, but he made it happen, and it was all started by an idea. We all have ideas, every day. It’s up to us to fight for them and keep fighting until we succeed. The next big thing could come from your head, because – why not? I’ve had the chance to attend a number of educational workshops, retreats, and seminars throughout my life, and regardless of the size or nature of the event, I’ve always walked away with a few nuggets of information that impact my actions and decisions at some point down the line. 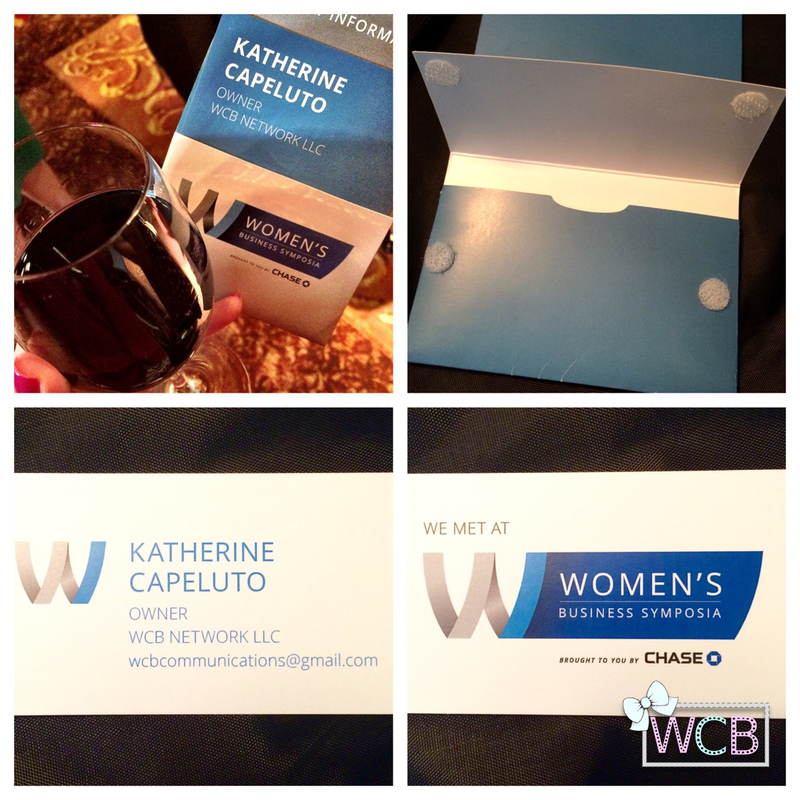 Whether focused on leadership, communications, or any other important topic, there are just some events that stand out to me more than others based on the organization, content, agenda and flow, and the Women’s Business Symposia presented by Chase is DEFINITELY one of them. 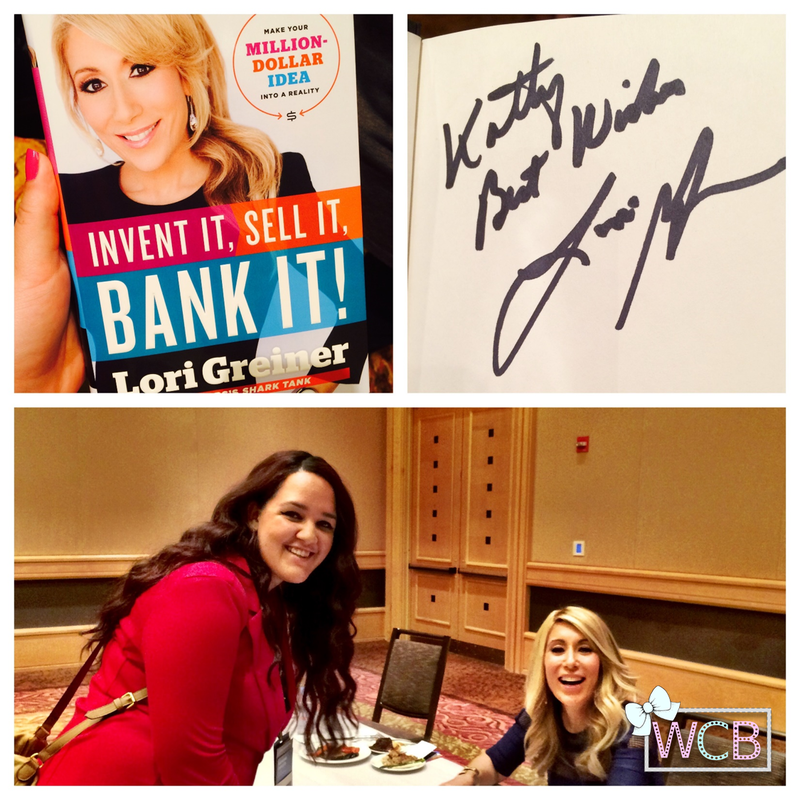 – These Chase #WoBiz events are annual and tour around the US. This Broward one was the last stop for 2015. – The invitation promised “an evening of insight and inspiration” with a keynote by Inventor, Entrepreneur, QVC Regular and Shark Tank Investor Lori Greiner; a panelist discussion featuring successful female business leaders, and a women-centric experiential networking reception. – That’s basically all I knew from beforehand, but seeing Lori in person was a big deal to me because I’m a huge fan of her as well as Shark Tank, and an even bigger kicker: attendance was free! Starting with the beautiful location of the Diplomat Resort & Spa, the event was set in its inviting and spacious convention center with different areas set up for the multiple sections of the evening, creating a great flow. The registration attendants were very cheery and helpful, and handed us the name tags, which marks the beginning of my mind being blown by the event. These name tags (besides being very nice) had a little pouch in the back with customized business cards they included for all registered attendees with our information in the front, and in the back it said “We met at Women’s Business Symposia” to facilitate the networking portion of the event. This was such a nice touch, and I personally saw a few people that ran out of their own business cards, so this was incredibly thoughtful and one of the many nice points of the night. After being offered wine post-registration (I’ll take a red, thank you very much!) we had a bit of a chance to mingle with some Chase executives, and I met fellow business owners with whom I stuck for the whole event. Once we were ushered into the keynote and panel room, each chair had a symposia goody bag, holding Lori’s book “Invent it, Sell it, Bank it!” as a gift to all guests. What a treat! Whenever I watch Shark Tank, Lori talks about getting patents so easily, I’ve always wondered what it entails, and this is part of the information she includes in her book. Also, prior to the event I had no idea whether there would be a chance to interact with Lori, but our handy dandy name tags also included the event agenda, where it said Lori would be autographing books later on in the night… Seriously?! My prayers were answered to the 10000th power. The event kicked off with some words from prominent Chase women, including Teresa Boyd (Market Manager), Jenn Piepszak (CEO of Chase Business Banking) and Laura Miller (President of Business Card for Chase), all with some great insights into the business world, work-life balance, and women in leadership. Afterwards, Laura moderated a panel with three women from different industries who also shared their experiences and advice in such an honest and relatable way that the whole audience was really engaged from start to finish. I live-tweeted some of the quotes that struck a cord with me on my biz account, check them out! FYI the hashtag for the night was #wobiz. Then, Lori came to the stage to give her keynote address, and I didn’t think it was possible, but I actually love her even more now. With great poise and creating lots of opportunities to connect with people in the audience, Lori shared her entrepreneurial story from her very first idea and took us through the process of turning it into a reality, while making some great points about the most important things to keep in mind to succeed in business (a few of which I tweeted as well) and also being extremely honest about the obstacles she faced and how she overcame each one. Lori’s key advice? “You CAN make ANYTHING happen.” That simple. Lori is a firm advocate of a ‘can do’ attitude and never taking no for an answer, but rather always asking “how can it be done?” instead. This concluded the keynote and panel discussion, and gave way to the rest of the night. With books at the ready, we lined up outside the signing room, and everyone had a chance to get a few seconds of interaction with Lori. She was super graceful, posed for pictures and held as much of a conversation as possible with everyone in line. I exchanged a few words with her and I can’t wait to sit down and read my very own autographed copy of her book! – Meet Beverly Johnson: American model, actress, and businesswoman who made history when she rose to fame as the first African-American model to appear on the cover of American Vogue in August 1974. – Get a mini Spa Treatment at the Contour Day Spa: getting pampered during a networking event? Yes please! – Get a new headshot: how many of us put off new headshots because of lack of time/money/space/contacts? Chase took care of that, also free of charge! After mingling, taking a few bites, another few sips, and visiting all the stations around the hall, the event came to a close and it was time to go home. But wait! There’s more!!! To close this beautiful event that didn’t need much more to make everyone in attendance feel special, they handed each and every participant a ‘Thank You’ bouquet as we left. How do they keep topping themselves? Chase absolutely knocked it out of the ballpark with this event, and I am so happy to have been a part of it. From the great content shared to the perfectly timed agenda, I truly see an incredible value in this symposia tour and I can’t wait for 2016!